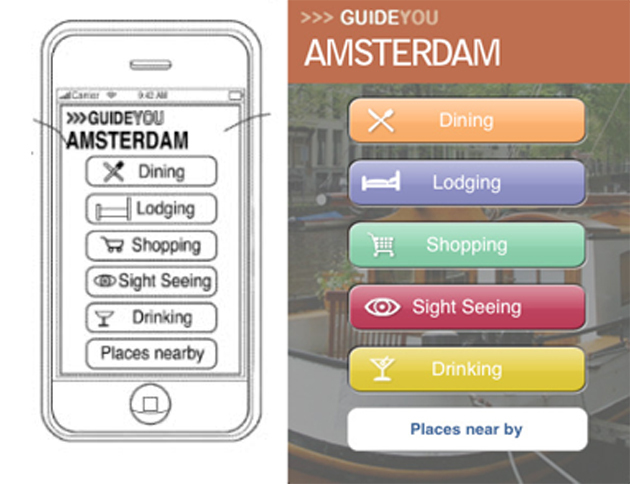 To the left, a recent diagram included in a travel app patent filed by Apple. To the right, the homescreen interface for existing third party travel app “Where To,” which has been in the app store since 2008. Apple’s diagram accompaniments to their recent travel, hotel and shopping patent applications were made public on July 30th, but no one made the “Where To” connection until Dan Wineman highlighted the similarities between the two on his blog Venomous Porridge. But the above pictures need way more than a thousand words of explanation. Artwork in a patent application does not necessarily mean a company is trying to call dibs on that particular area of IP. 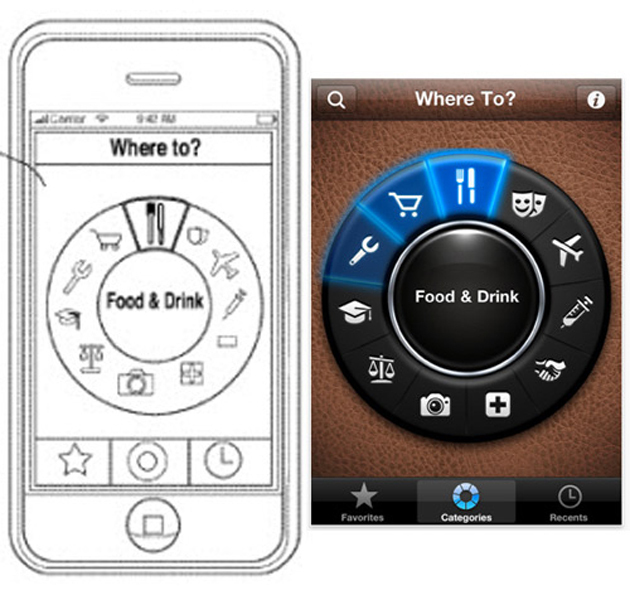 The image above left is one of many existing third-party app screens in the patent application, used to illustrate apps where the invention in question (location-based notifications relating to travel, hotels, and fashion retail) might be used. Taking a closer look at what other homescreens were copied by Apple lends more validity to an argument brought up by Tumblr lead developer Marco Arment; Most likely the images of “Where To,” “Ralph Lauren,” and “Guide You Amsterdam” were used as examples of apps related to a much larger concept that wouldn’t put the developer out of business. Despite the fact that this patent application alone is not proof that Apple is gearing up to quash “Where To,” copying an app homescreen verbatim is clearly not the best way to ease fears about developer job security. FutureTap, the makers of “Where To” issued a confused response on their own blog. The best way to deal with it, until you can sic your (hopefully) pro bono patent lawyer hounds on Apple, is to not jump to conclusions. 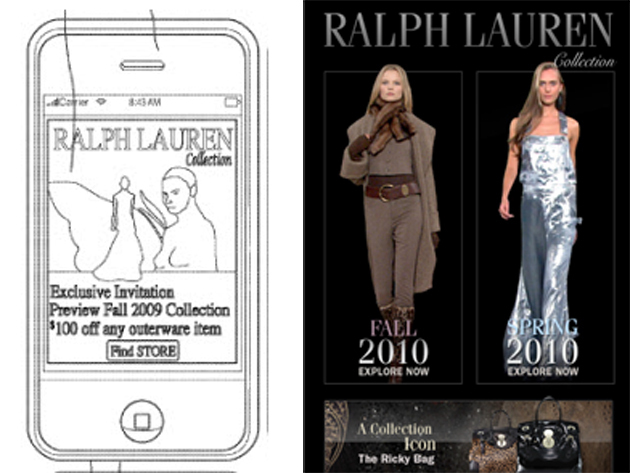 After all, I can’t really picture Apple trying to kill off GuideYou Amsterdam let alone Ralph Lauren. We’ve contacted Apple for a response and have yet to hear back.